١ Mahouts bathe an elephant at a temple on the outskirts of Kochi, India. 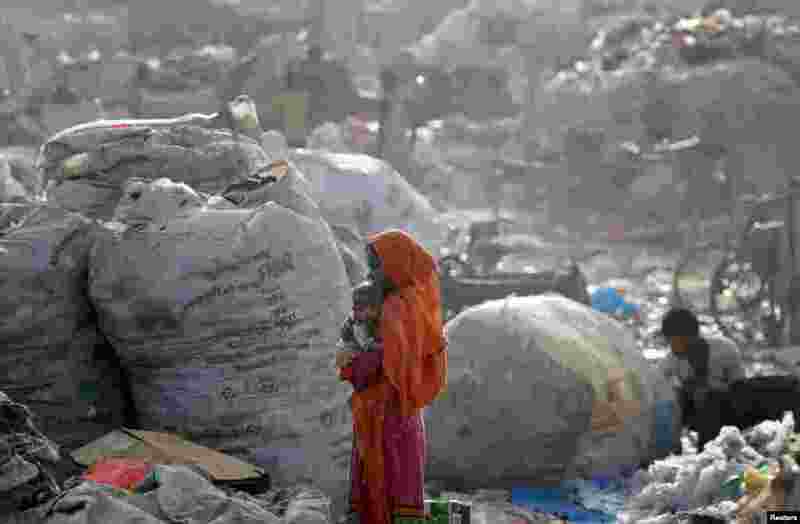 ٣ A woman carries her baby through a rubbish dump in Delhi, India. 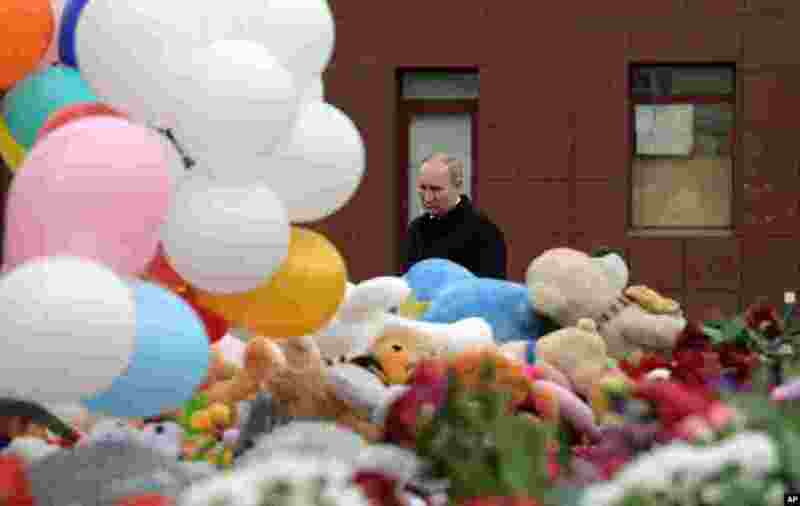 ٤ Russian President Vladimir Putin lays flowers at a memorial for the victims of a fire in a multi-story shopping center in the Siberian city of Kemerovo, about 3,000 kilometers (1,900 miles) east of Moscow, Russia.